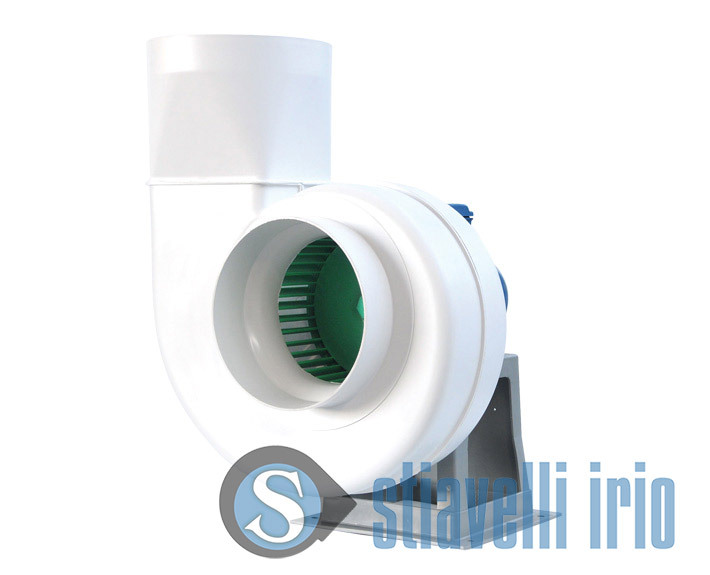 Centrifugal polypropylene fan for chemical industry. 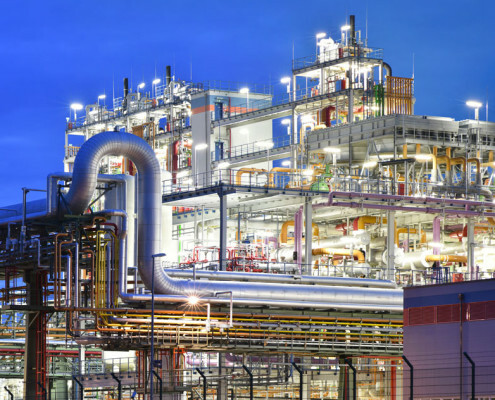 Treatment and handling of fluids containing corrosive particles. Forward-curved blades impeller, made of polypropylene, as well as casing and base. Directly coupled to standard motor. This centrifugal fan type is made of plastic material (polypropylene) to resist the corrosiveness of the suctioned fluids. Polypropylene is a cheaper alternative to stainless steel. Actually, although not having the same robustness, it is highly corrosion-resistant. WEG W22 IE1 0,55 kW 4 poles B3/B5 V 230/400 50 Hz IP55. This is a propylene light costruction anti-acid fan, to be used for laboratory benches, galvanic process, pharmaceutical industry, in schools’ chemistry labs, dyeing plants and wherever corrosive exhalations may generate.